Having some friends in for dinner will never have felt so cozy. Dining Room floor heating will bring new levels of comfort for you and your guests. Toast to your new floor heating at your next dinner party. U.S. 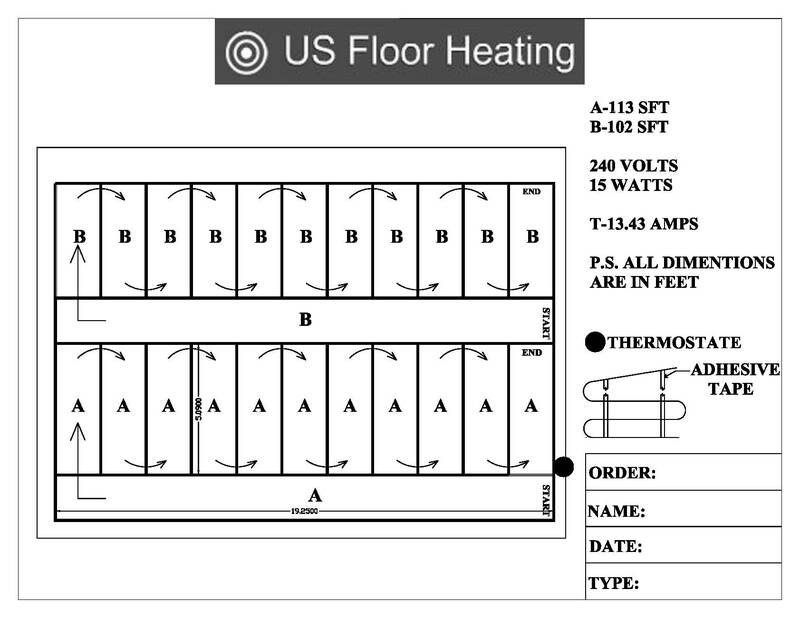 Floor Heating offers free layouts with Floor Heating packages. Easy Installation and Cost Effective! Installing Dining Room radiant floor heating has never been So Easy! Go Green with radiant floor heating in your Dining Room and Save Money! Want to talk with us regarding your Dining Room radiant floor heating or any other electric floor heating project you may have. Please feel free to chat with us or leave us a message if we have stepped away. Dining Room Floor Heating. Food is one of the things that are usually able of getting people new friends or colleagues. With food, people may be able to start a talk that leads to a longer and further conversation. This has made a dining room a pretty important room in a home. Being the important room that it is, people should always be able to feel comfortable being in a dining room. Unfortunately, it is often the case that people find less comfort than what they expect to obtain in a dining room. This is often caused by the cold floor that reduces the comfort people can get from their dining room. Therefore, in case there is a solution that is quite efficient in providing heat to the dining room, it may prove to be something that is most anticipated by people. Fortunately, as a matter of fact, there is indeed such a solution. With today's technology, people are able to get their dining room floor heated thanks to the available dining room floor heating technology that comes in more than just a single kind. There is but more than one of such technology that people will be able to choose from. So, whether the dining room is used now and then in feasting guests or even used quite frequently, feeling warm in the dining room is always an option with such technology. People can expect to obtain the dining room floor heating technology from quite a large number of manufacturers that exist and compete in the global market. And, with such a large number of manufacturers available on the global market, customers will have a wide variety of options to choose from. There is an option to heat the dining room floor with a technology that does not pay attention to what covering the floor of the dining room is given by the home owner. Whether the dining room floor is covered with carpet or wood or tile or whatever people can imagine, such a technology is able to get the dining room warmed and keep it that way. But, of course, that technology is not the only option when it comes to floor heating. There is also another option that will make it possible for people to enjoy a more comfortable dinner every night. Better yet, not only is the technology designed for those people who are going to use their dining room every single day but also for those people who are likely to use their dining room quite occasionally. This latter technology is equipped with a zone heating system. This is to control which specific rooms that people will want to get heated or warmed so as not to waste too much energy heating the rooms where no one is in. Yet, for those who use the dining room daily, they can make use of the available thermostat to control the specific temperature for the whole meals including breakfast, lunch and dinner altogether. The thermostat can even be used as well to control the temperature when people want to enjoy some snacks in the middle of the late night. This makes this dining room floor heating system one of the best systems available to date.